HPN HOA assessments (dues) are payable annually on July 1. Annual statements are sent in June to all homeowners at the address on file. Receiving assessment payments on time helps the HOA maintain the common areas and provide improvements to the neighborhood. Assessments are mandatory and late payment will result in monthly late and collection fees as well as loss of access to the pool and further collection actions being taken. Payments to HPN HOA of assessments and other charges can be submitted by several methods, listed below. Payments are credited as of the date the payment is received at the payment processing center. Payments must be received by the 10th day of the month to avoid late and handling fees. Click here for notice sent to members Fall 2017 regarding address change. Please allow a minimum of 5 business days for delivery to the payment processing center by the postal service. Payments are credited as of the day the payment is received at the payment processing center. Checks should be payable to Highland Park North HOA. Please list your account number and property address on your check or money order to ensure proper processing. Make a one-time or recurring online payment by logging into your homeowner account at associahillcountry.com and clicking on the "ACCOUNT LOG IN" link. You can pay with an E-check/ACH, Visa, MasterCard, and American Express. A $2.95 convenience fee applies to E-check/ACH payments. Credit card payments are charged a 3.5% fee. Please note that the Associa website uses a different login and password than your hpnhoa.org login. If you need assistance registering on the Associaonline website, please contact info@associaonline.com or call Community Manager Laureen Sutton at 512.347.3012 during business hours. This option allows you to set up a recurring direct debit withdrawal for your assessments (dues) each July from your designated bank account. To set up this option, please download and submit the REQUEST FOR AUTOMATIC PAYMENT OF ASSESSMENTS form. The automatic payment process will begin with your next annual assessment after Associa Hill Country receives your completed form and voided check. Many residents have found the most convenient way to pay assessments is to set up a recurring annual payment from their checking account through their own bank. 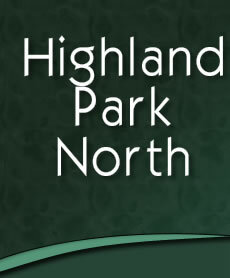 Payments should be payable to Highland Park North HOA using the payment address above. Please be sure to include your HOA account number and property address with your payment. As a courtesy, Associa Hill Country will forward payments received at their offices in Round Rock and Austin to the payment processing center. The payment will not be credited to your account until it is received at the payment processing center, so this option is not recommended as it will result in a delay in your payment posting. Associa Hill Country only accepts payments for forwarding via check, money order or bank check. Payment Plans are available to homeowners who need to spread the payments of their assessments over a few months. A payment plan fee of $45 is charged to set up a payment plan. Please contact Associa Hill Country at hillcountryclientaccounting@associa.us for more information on Payment Plans. If you have any questions about your balance, please contact Associa Hill Country Community Manager Nicole Lopez at Nicole.Lopez@associa.us (512) 347-2896 or Client Accounting at 512.347.2856 during business hours.